Originating from the 1793 model. 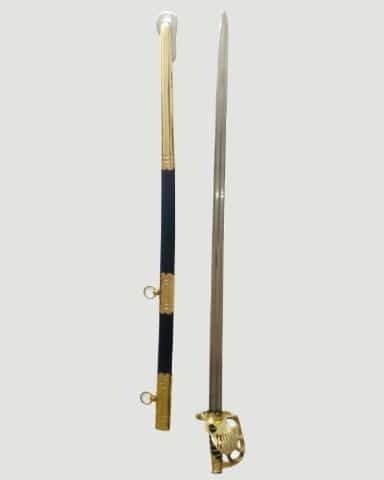 Widely used by cavalry officers such as in dragoons, horse artillery and heavy cavalry. Fine straight 1055 high carbon steel 94cm blade. 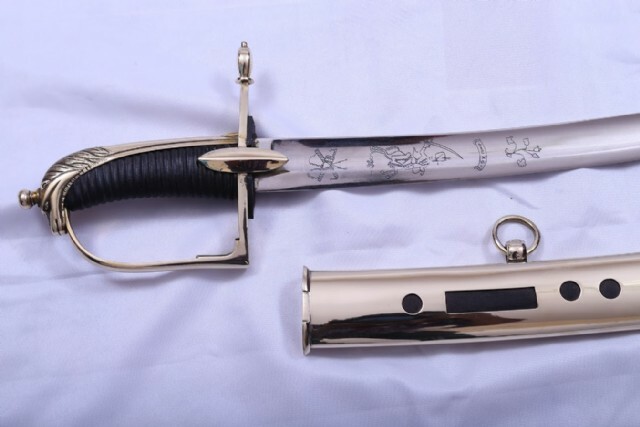 Quality leather scabbard with distinguishing brass brackets. Great pick for the collection.